Posted by Landry Shorkey on February 4, 2019 in News, Top Stories. Netflix users should expect to see higher numbers on their monthly bills. According to CNN, Netflix has announced that prices will increase for all subscription plans. The basic plan will increase from $7.99 to $8.99, the standard plan will increase from $10.99 to $12.99 and the premium plan will increase from $13.99 to $15.99. The Netflix website states that the differences between the plan options include the number of devices users can stream titles on at once, the number of devices users can download titles to and standard versus high-quality definition. 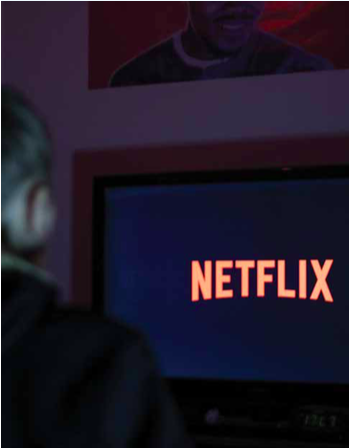 “I mean, I guess Netflix has almost a huge cult following in which people would probably be okay spending an extra dollar or two just because of how popular and mainstream Netflix is in itself,” Ferris physical therapy senior Logan Hunt said. In a statement published by CNN, Netflix Chief Content Officer Ted Sarandos said that there is a balance between price and content. “It’s about providing enough value to the customer that they see it as a good value relative to usage and what it costs. If they’re enjoying hours and hours of programming and a lot of shows, and we’re meeting the need, they’ll think it’s of great value,” Sarandos said. The article said this is the fourth time Netflix has increased its prices in the United States. Existing subscribers can expect to see the change over the next three months as of Jan. 15. Hunt said that Netflix could argue raising prices due to original content, but the amount of original material they have released can be overwhelming. “They’re coming out with more quantity rather than quality, I feel like. They’re spitting out a ton of them, which is cool because you can’t get them anywhere else, which I appreciate, but at the same time I feel like it’s almost overwhelming the amount that they come out with,” Hunt said.